Want to visit Greece? Good choice! It’s a fantastic country that offers everything from beaches and islands to culture and history as well as delicious food and friendly locals. If you haven’t yet been to Greece, here are 35 reasons why I think everyone should visit Greece at least once in their life! When it comes to hospitality and welcoming people I have never ever experienced anything like Greece. I love to stay at family hotels and go to family restaurants because the people you meet are always so kind and inviting. While Japanese people might be the world’s most polite people, I will announce the Greek people as the winner of the world’s best hospitality! No matter if they can speak English or not, you can expect a friendly and warm welcome and experience. Greek food is alone a good reason enough to visit Greece. It’s so diverse and delicious, and often reasonably priced as well. And they aren’t cheap when it comes to portions. I can promise that wherever you eat, you will not leave that place hungry. 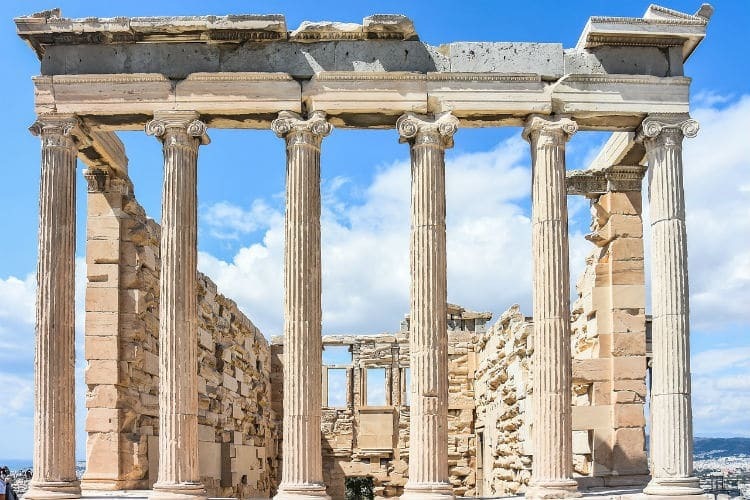 Modern civilization has a lot to thank the Ancient Greeks for, and today we can enjoy the beautiful and interesting history that took place here. Lots of old temples, structures, art and historical places to explore. If you like history, you won’t be disappointed! During summer, Greece offers its visitors some of the best nightlife scenes in all of Europe with plenty of festivals and big music events. In addition to that, there are many nightclubs and bars that are open until the sun goes up! As already mentioned, Greeks are beautiful on the inside, but Greeks are also famed for their beauty on the outside and have been so for thousands of years. If you’re single and ready to mingle, you won’t have to look for long before you see a beautiful person in Greece. Here is the Miss Greece 2017 – Maria Psilou. One of my favorite things to do in Greece is to go visit some rural villages. I always find interesting people and traditional experiences while exploring the rural villages. It’s definitely something special, and perfect to do if you rent a car or scooter. One of the blue zones in the world where people live the healthiest and longest lives in general. The average lifespan in Ikaria has led scientists to investigate how the population here can live so long lives. If you’re curious you should go visit Ikaria yourself and find out their secrets! Sand, pebbles and cliff beaches are plenty to be found, and I can assure you that Greece has a beach for everyone. 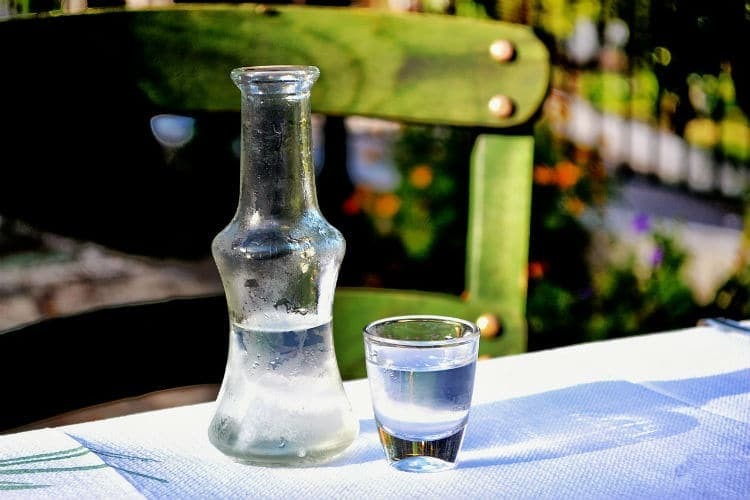 While Greece has many liquors, Ouzo is probably the most famous one abroad. Definitely, something you should try when you visit Greece! This ancient place might just be one of the most fascinating and beautiful places in all of Europe. 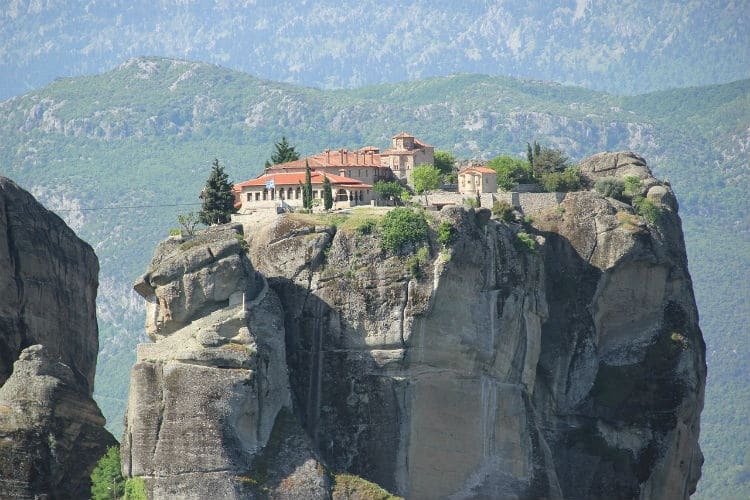 Monasteries set on top of cliffs that stretches far up in the sky makes a unique experience and sight. The majority of festivals occur during summer, but there are also some festivals in other times of the year. Greece has everything from cultural and religious festivals to modern festivals and events. Besides various festivals, the Greek culture itself is fascinating with a lot of different dancing styles, traditions, folk costumes and much more! 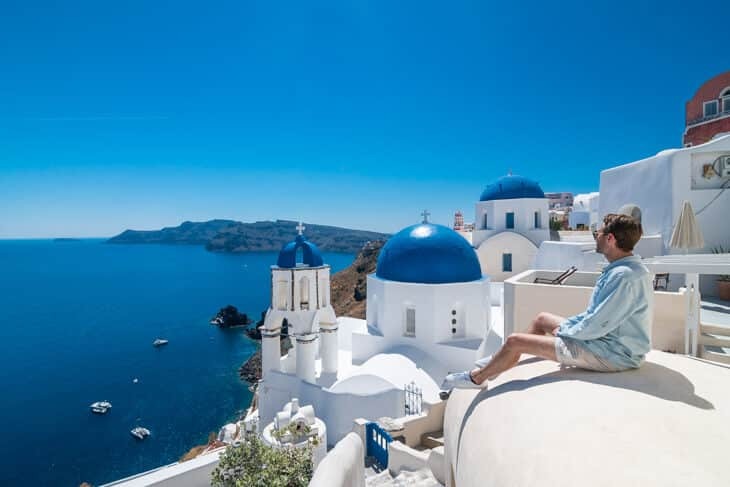 Greece has always been a budget-friendly destination compared to other popular destinations around Europe, and you can easily have a nice vacation with good food and accommodation without breaking the bank. While there is still some economic issues within the country, this is not something that concerns tourists, and the prices are more or less the same as usual. If you go beyond the most touristic spots you will find lower prices as well. Olives from Greece are famous all over the world, and there are several varieties to try. 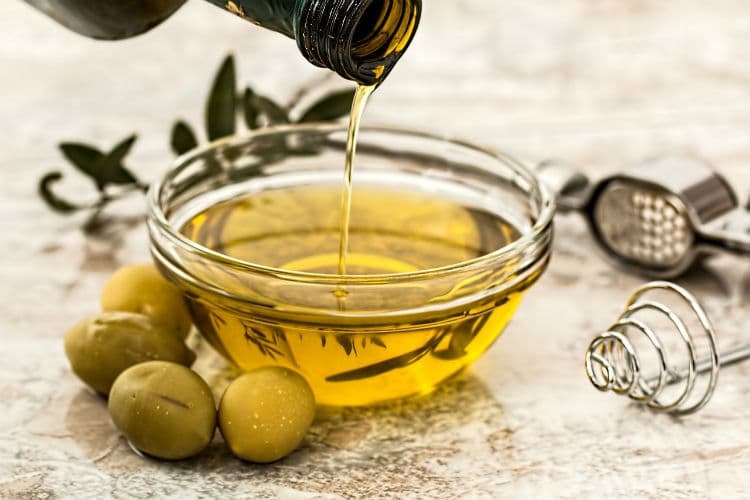 Greece is also the third largest olive oil producer, and something that you shouldn’t miss while visiting Greece. Alright, so Greek food is already mentioned, but I have to give a special tribute to gyros because they’re so simple, yet so delicious and cheap. You can get full on Gyros for just a couple of Euros, and you can find them everywhere in Greece! I love to rent a scooter and drive around the islands and explore hidden places far away from the main tourist attractions. It’s so easy and convenient, and you feel the freedom. Renting a scooter and explore on your own is something everyone should do while they visit Greece! Yes, Greek wine is delicious! When thinking about Greece, wine might not be the first thing that comes to mind, but there are plenty of good wines. 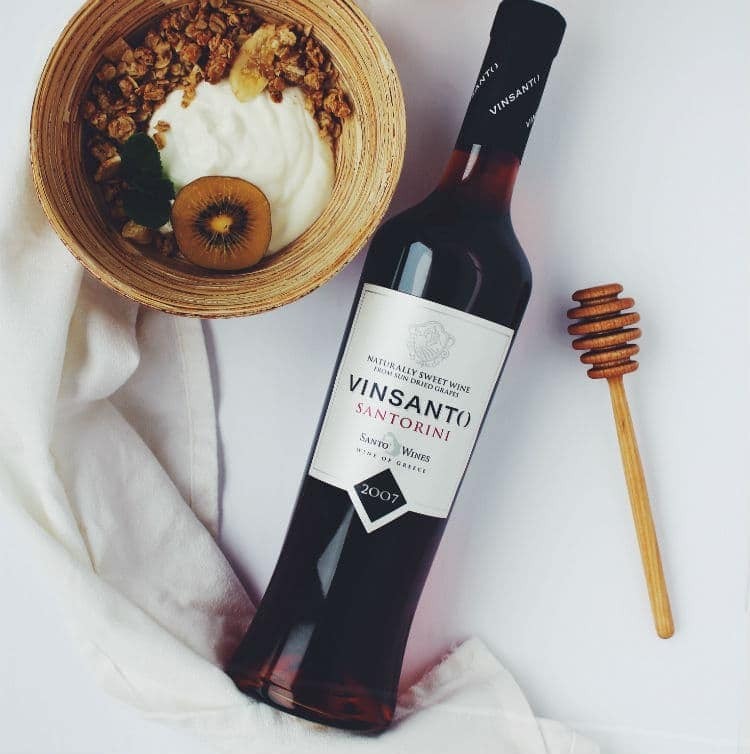 Some of the most famous Greek wines are Assyrtiko, Retsina, Agiorgitiko, and Vinsanto to name a few. Going for a coffee in Greece is something that can be considered a cultural habit and a good way of socializing. One of the most famous Greek food items, and something that you might’ve already tried even if you hasn’t been to Greece before. But if you haven’t yet tried it, I can assure you that you have missed one of the world’s best sauces/dips. There is something about the Greek music, so refreshing and soothing and many times with happy vibes too! Sitting at a taverna listening to some live Greek music, that’s the life! No matter the time of the day I feel safe in Greece. The people are so friendly, and the only places you might pay some attention to what’s happening at night is at the touristy bar areas where drunk tourists might not handle alcohol very well. But other than that, Greece is a very safe country and crime rarely happens. The Greek language is special and has influenced the world in many ways. And I promise you already know several Greek words. 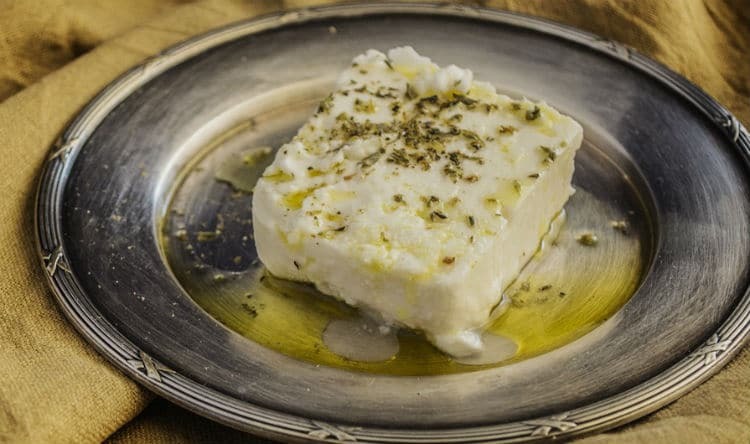 Okay, so in reality, you only need one reason to visit Greece and that’s Feta cheese! 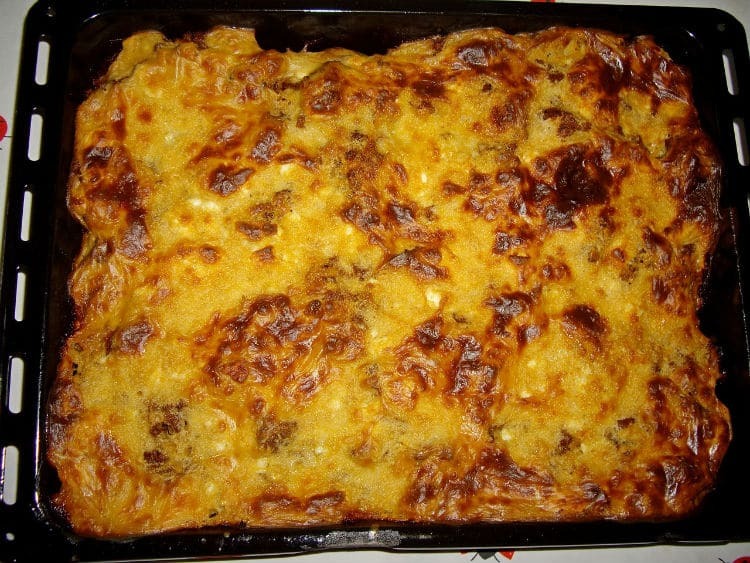 It’s so delicious and there are plenty of ways you can prepare it. My absolute favorite so far was in Crete where they put in the oven along with some herbs! An alcoholic beverage made on the island of Chios. It’s served cold and has a sweet flavor. Another classic and a favorite of mine. Frappé is basically iced coffee and perfect to drink when it’s hot outside. You might have seen some Greek weddings featured in films, and they look amazing, so of course, this is yet another good reason to visit Greece if you can get an invitation to a real Greek Wedding! The island of love is very beautiful and romantic, so no wonder that so many tourists come here each year. I visited Santorini last summer and instantly fell in love all the picturesque spots and views as well as fantastic hotels. 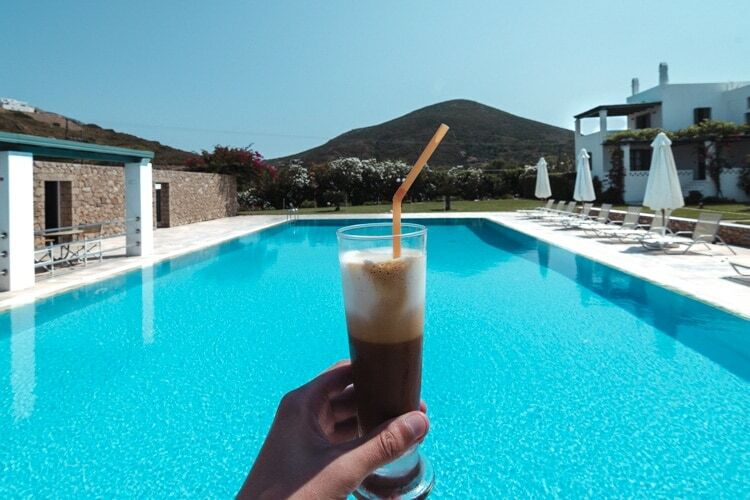 I especially recommend Heliotopos Hotel in Imerovigli with a beautiful view over the caldera. Mykonos is yet another favorite destination among international tourists, and even though it’s touristic it’s still another reason to visit Greece and experience the beautiful streets and vibrant nightlife that Mykonos offer its visitors. Back in 2012 and 2013 I used to work at the bar street in Rhodes town and lived there a little more than 1 year. It was also here where I met Christine. 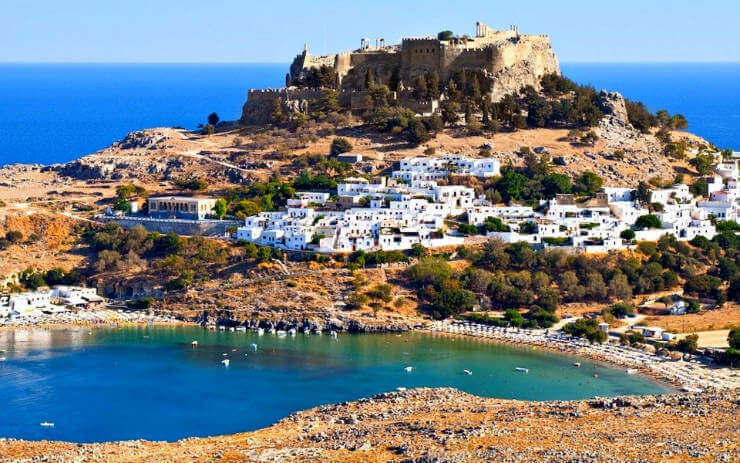 Rhodos will always have a special place in my heart, and there are so many places to see on that island, such as Lindos, the old town, Tsambika beach and many more! The old town in Rhodes is also one of the best-preserved medieval cities. Skyros is not the typical destination for international tourists, but I went there last summer and just like Santorini I instantly fell in love. But here it was for another reason. Skyros is very genuine, and the food I tried in Skyros is the best Greek food I’ve ever had. It was also very interesting to experience an island where you get a local experience wherever you go. I realize that it might be similar on other Greek islands without many international tourists, but I have to mention Skyros as one of the 35 reasons to visit Greece since it’s such a wonderful and untouched destination. And if you go here I would love to recommend Dioni Hotel for accommodation, and Istouries Tou Barba and Mouries Taverna for restaurants. A family-friendly destination that has a lot of beautiful villages and beaches as well as nature. 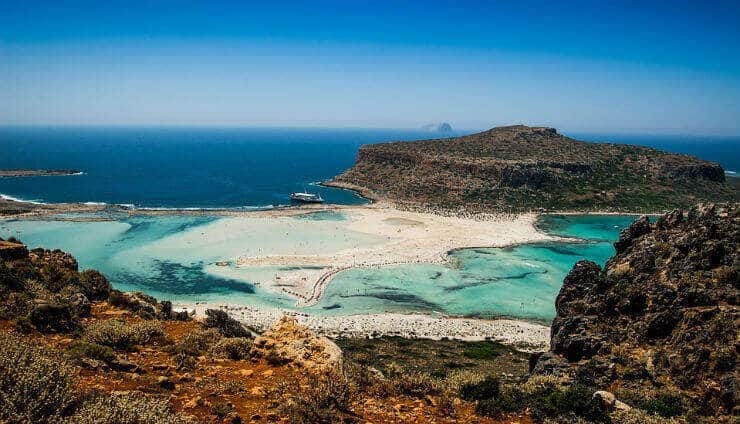 What’s special about Crete is also the fact that it’s not only a tourist destination, but it has a flourishing student life and a long history. It’s one of the major Greek islands. This colorful island is what I would like to call the “Cinque Terre” of Greece. It’s just a short boat ride from Rhodos, and it’s not only a day trip, but you could also overnight and enjoy the relaxing vibes. Ever wanted to see sea turtles? 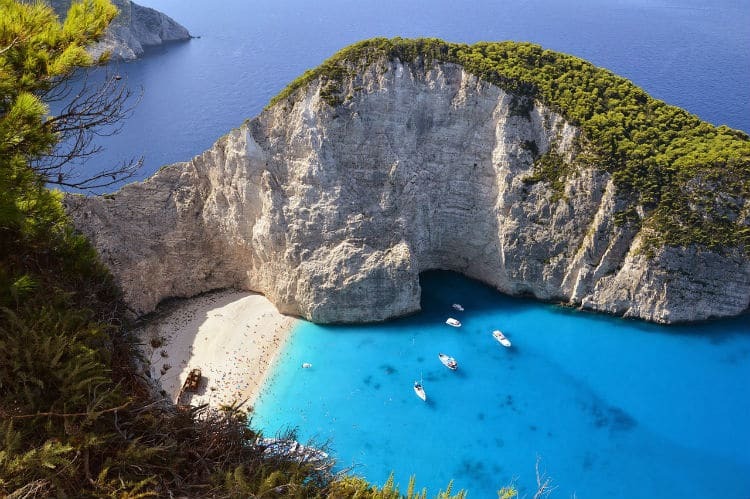 In Zakynthos, you can swim with them, and you can also visit the famous Shipwreck beach with a spectacular view from the top of the cliff. Another island that isn’t as explored as the other major Greek islands, but Milos definitely deserves more attention. After traveling to more than 50 countries, I’ve seen quite a few places in the world. Yet, I still put Greece on top of my list of favorite countries! I don’t even hesitate because there is a special feeling when you arrive in Greece. It’s so relaxing, friendly and lovely to travel here, and if you haven’t yet been I highly recommend you to book a trip! There are more than 2000 islands to choose from! And each island has its own charm and identity. And of course, there are plenty of more reasons to visit Greece than just 35, and I could probably list more than 100 reasons without any problem. So if you feel like there is something missing, feel free to leave a comment with your tips and suggestions on why you think everyone should visit Greece at least once in their life! The same goes for the islands. 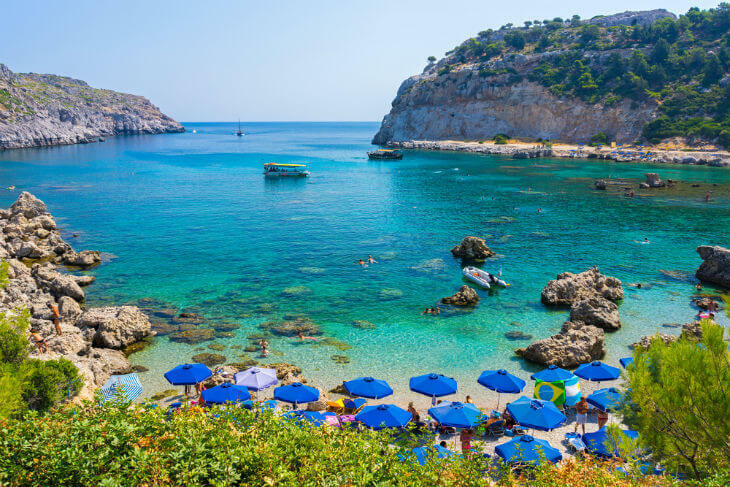 As there are more than 2000 to choose from, the handful I’ve mentioned in the list is not even near complete, and I know that there are so many Greek islands that are worth mentioning. So please share your favorite island in the comment section and tell me why people should visit that island! Here are some of my favorite photos from my trips to Greece. Feel free to follow me on Instagram to see more!